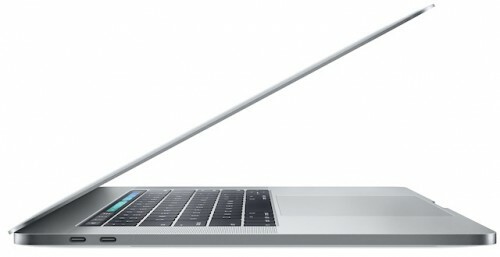 According to the latest report from Plugable, both 13-inch and 15-inch MacBook Pro are not compatible with most existing Thunderbolt 3 devices due to the hardware these devices use. A new video has recently appeared on the Internet showing some of the components for the rumored Apple Watch 2 that is expected to be officially unveiled later this year. 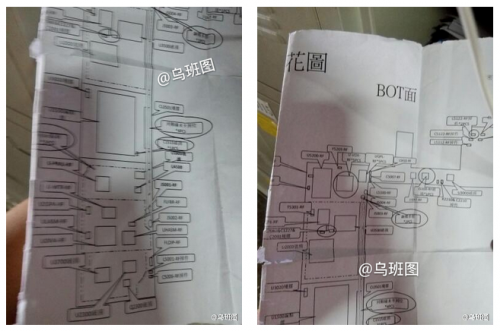 The list of leaked parts includes a screen, touch screen digitizer, Force Touch gasket, and the battery. This is probably the first large leak of the component for the second-generation wearable device. It seems that the iPhone SE, which will be announced on March 21st at Apple’s special media event, may soon get a strong rival. 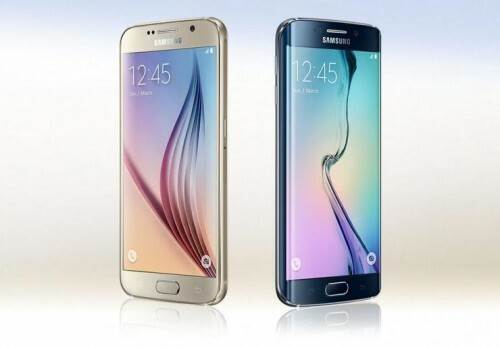 According to the rumors from Taiwan, Samsung plans to release the Galaxy S7 mini. As it was already reported, Apple is expected to release a 4-inch iPhone called presumably the iPhone 5SE as soon as in March. Some sources believe the device will get a pink color option. The widely-rumored iPhone 7, which is set to be released in the fall, may be equipped with a dual-lens camera. With these things in mind, CURVED/labs experts have recently created new concepts of the aforementioned handsets and shared them on YouTube. According to the latest rumors, Synaptics has purchased Renesas Electronics division called Renesas SP Drivers. 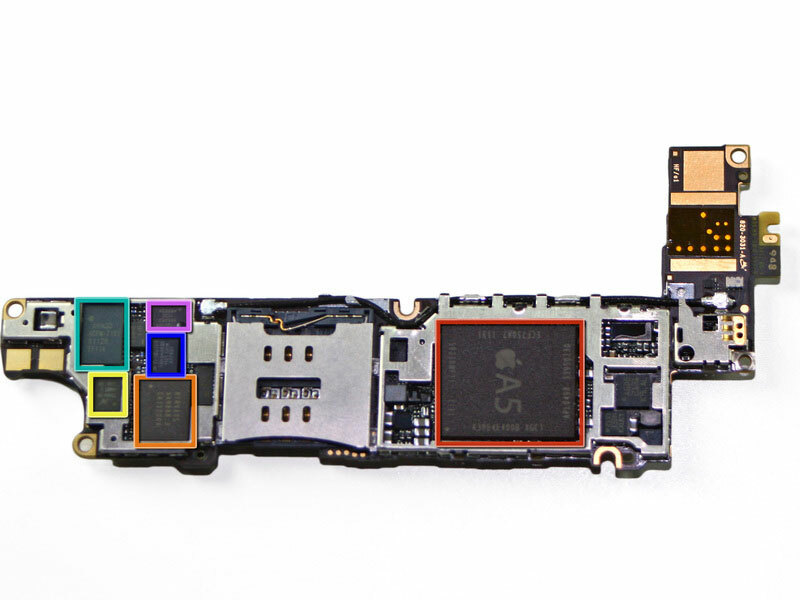 The firm produces display chips for various smartphones including Apple's iPhone. 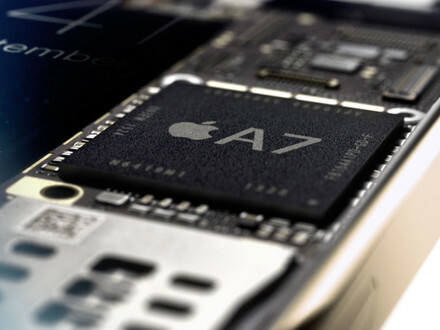 According to TechWorld, Anand Chandrasekher, Qualcomm SVP and Chief Marketing Officer, has recently said that Apple’s new 64-bit A7 processor is nothing else but a marketing trick. A very successful one, I must admit. The code found in the iOS 6 Beta shows that Apple's new Maps application may be making its way to OS X in some form. The evidence was discovered by the developer Cody Cooper through the to several older Intel graphics solutions for which map features such as shading are disabled. Though, it is unclear exactly what form Apple's maps would take on the Mac and whether the references are simply for hooks into map-enabled apps on OS X or if there is some more significant mapping solution coming to the Mac. 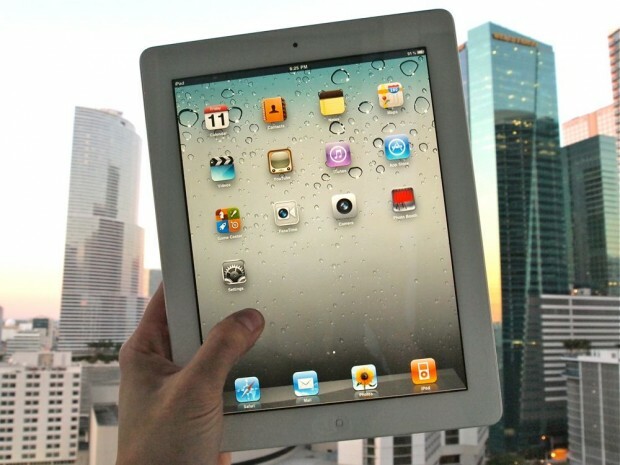 Citing a "reliable source," Apple blog iMore on Monday claimed that the much anticipated iPad 3 announcement is imminent, and new whispers suggest that the date will be March 7. Aside from the date of the announcement, iMore also claims that the iPad 3 will feature a 2048x1536 Retina display, possibly manufactured by Sharp, as well as a redesigned case that could allow for a larger battery than current models. It was reported that in order to implement the high pixel density screen, a unique dual LED backlighting arrangement would be needed, and the larger battery could be in response to the extra energy requirements. Other rumors suggest that the next-generation iPad may receive a quad-core A6 processor and "possibly" 4G LTE networking. Apple has begun to offer a cheaper 13-inch MacBook Air to educational institutions buying in bulk, replacing the two-year offering of white plastic MacBooks, which was recently discontinued. 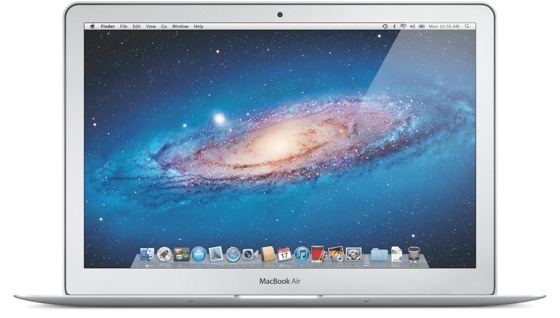 The sales of white MacBook were discontinued by the company back in July of 2011. Telecom network technology firm Arieso has found that data usage of the iPhone 4 was 1.6 times higher than the iPhone 3G, while iPad 2 tablets consumed 2.5 times more data. The iPhone 4S was the heaviest on usage with three times the amount used by the iPhone 3G. 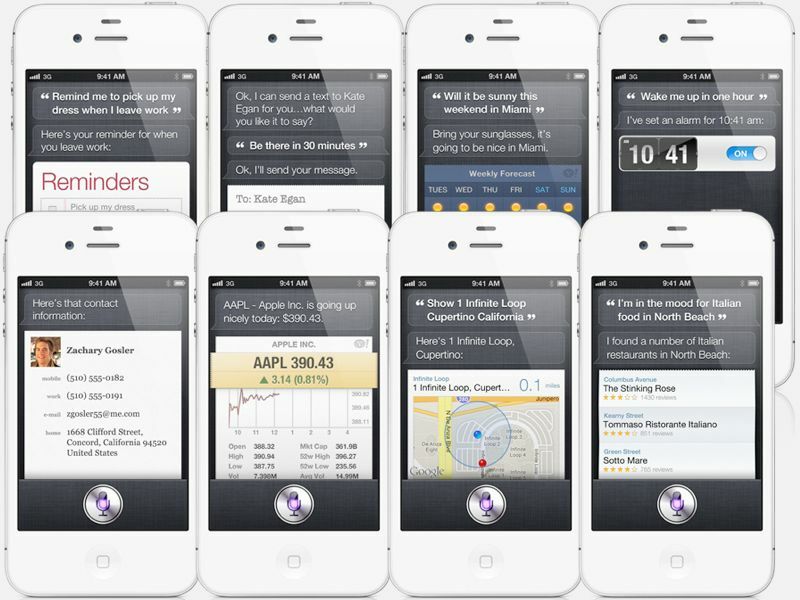 "I use the iPhone 4 myself and when I first heard of the iPhone 4S features I was not compelled to rush out and get one. However, the data usage numbers I am seeing make me wonder what I am missing," Arieso's chief technology officer, Michael Flanagan, said of the study. Flanagan also noted that tablet usage closely resembled that of high-end smartphones. "A tablet still looks like a big smartphone," he said. Bloomberg also confirms Arieso's research claiming that one percent of the high-use subscribers consumed half of the data volumes. “The hungry are getting hungrier,” Flanagan said. The rise in iPhone data consumption comes as Sprint is the only U.S. network to offer an unlimited data plan. The iPhone has actually brought broad changes in the wireless industry. AT&T, Apple's original carrier partner in the U.S., was initially surprised by the amount of data users consumed. 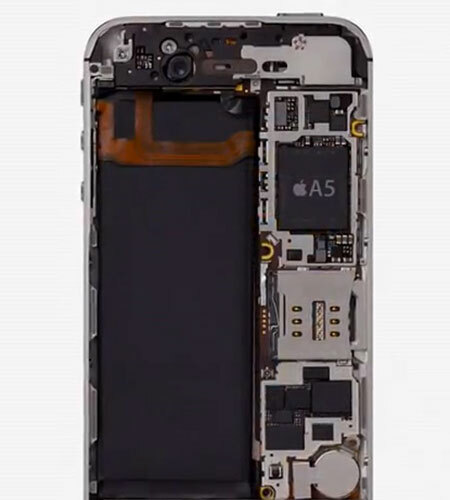 The iPhone maker has also opted to wait for 4G LTE to become more mature. CEO Tim Cook said that the first generation of LTE chipsets required "design compromises" that Apple was unwilling to make. Apple may release LTE iPad and iPhone models this year. 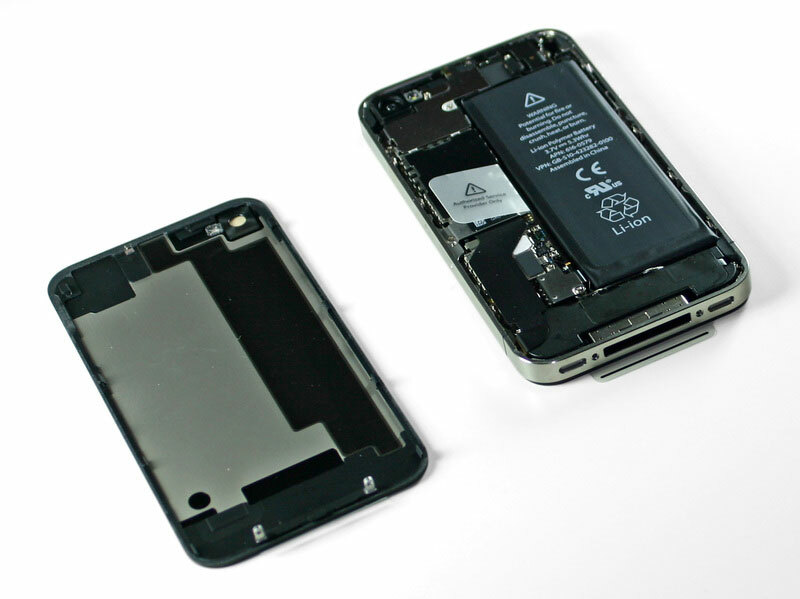 As usual, iFixit conducted their standard teardown of Apple's latest gear, this time it was Apple’s next generation iPhone 4S. The device has largely the same design as the iPhone 4, but inside it is different. The new iPhone 4S has a slightly larger battery that improves battery capacity and offers extra hours of talk time, comparing with the iPhone 4. UBM TechInsights posted their estimates on price of the major components of the iPhone 4S. They suggest that the value of the components used to make the Apple iPhone 4S comes to $203 for the 32GB model which will be sold for $299 on a subisidized basis. The most expensive part is the flash memory which costs $38. The second most expensive component is Retina display wearing a $31 price tag. That is followed by the dual-core A5 processor, which costs $26. Making the new iteration of the iPhone a World Phone added $6 to the cost of a GSM-only unit, while the updated 8MP camera added only $3 to the price of the components. iPhone’s rival HTC ThunderBolt was valued at $262 according to TechInsights. It includes such components as a LTE chipset, bigger battery, but lower resolution screen, and slightly slower processor, comparing with the iPhone 4S’. The recently-announced 8GB Apple iPhone 4 indicated that Apple now offers the phone with small margin. Its component cost is $156 and the company is going to sell it for $99 with a signed 2-year contract. Apple yesterday announced iPhone 4S and seems to prepare the name “iPhone 5” for 4G LTE model of the smartphone that may be released next spring. Analyst Will Strauss, president of wireless chip market research firm Forward Concepts, has tried to explain why Apple showed off an iPhone 4S and not the rumored "iPhone 5" on Tuesday. "They're saving iPhone 5 for the LTE version and that won't be out until next spring. There's no way they could come out with LTE now," he suggested. Apple may need an LTE baseband chip that, according to Anand Shimpi of AnandTech, will arrive early next year, so first iPhones powered by it likely to arrive in the second quarter of 2012. "While I don't like participating in the rumor garbage, if I were to guess at the release date of the rumored iPhone 5 I'd say early Q3 2012," he added. But Apple is not in hurry. The company shows interest in LTE, but not going to implement LTE technology in the next iPhone as soon as possible. Quoting Apple executive Tim Cook, the reason is what that “LTE chipsets force a lot of design compromises with the handset, and some of those we are just not willing to make". Well, rumors around iPhone 5 are getting bigger and bigger. This one is really big in terms of dollars. WSJ reports that Sprint, the third largest wireless operator in the US, committed to buy 30.5 million new iPhones for $20 billion. 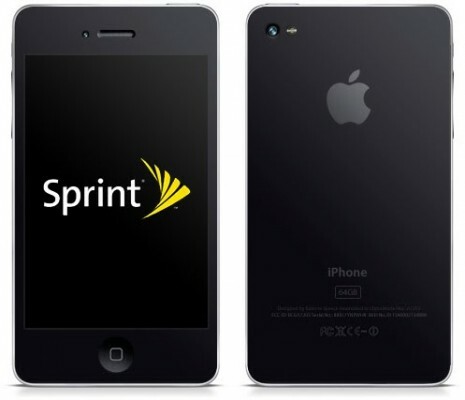 BGR has heard that Sprint will actually get the much rumored iPhone 5, that is said to be a 4G LTE device. 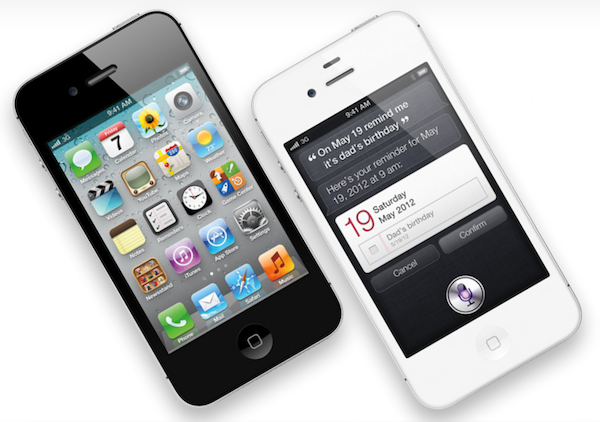 AT&T and Verizon would launch the iPhone 4S and get the iPhone 5 some time in the first quarter of 2012 as an LTE device. Globally, the iPhone 5 might be available as a 4G HSPA+ device. According to BGR's source the iPhone 4S will feature the A5 processor, an 8MP camera with 1080p video recording, a Multiband 3G Qualcomm chipset, NFC support, and a metal or premium plastic back casing. The Sprint exclusive iPhone 5 is said to feature a faster CPU, 4-inch screen, 1 GB of RAM, slightly larger design (though thinner), larger battery, 32GB of storage, Assistant, and possibly a new home button which integrates activating assistant. There's too much rumors lately.